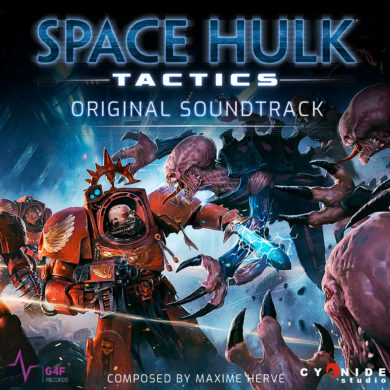 The original soundtrack to Space Hulk: Tactics includes 12 tracks composed by Maxime Hervé. The soundtrack immerse yourself in the Warhammer universe by offering a mix of Maxime favorites Rock sounds, an epic instrumentation, some more rare instrument like the Death Whistle and finally, the choir recorded at the Château du Boschet give to give the final touch to the original soundtrack. Available since the 12th of November. Original soundtrack composed by Maxime Hervé. Recorded live in Studio Ferber.